Book Property Ads in Indian Newspapers Instantly Online! 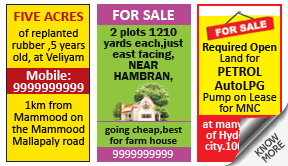 Why Book Property Ad in Newspapers? 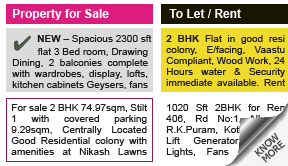 How to Book Property Advertisement In Newspapers? Q. What is the best price rates offered for booking the property ads in different newspapers in Lucknow and which newspaper advertising agency can help me book the same?